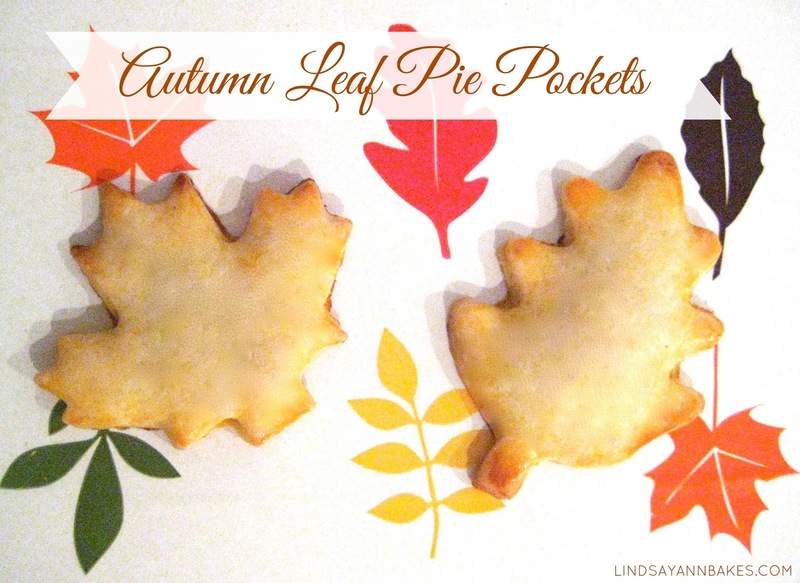 After making my mini homemade lolli-pop tarts, I decided to make an Autumn themed version. I filled my pie leaves with butterscotch morsels but you can use any type of filling you like, such as jelly, cinnamon sugar, even try a savoy combination. Heat the oven to 375°. Roll out a prepared pie crust on lightly floured surface, to about 1/8" thick. Use a large leaf-shaped cookie cutter (about 5" wide) to cut dough into leaves. Place a few teaspoons of jelly in the center of half of your leaf cut outs. Lightly beat your egg and brush around the edges of the leaf with the morsels/filling in the middle. Place a second leaf on top and seal together. Brush the top of the pie pocket with more beaten egg. Bake the leaves on a parchment-lined cookie sheet about 12 minutes or until edges are lightly golden. Cool on cookie sheet. Enjoy! Be sure to check out my entire Thanksgiving roundup for more fun ideas and recipes!